Terminal emulation for embedded systems, thin clients and portable devices. For scanners, thin clients, embedded and small form factor devices. Expand the use of your Windows CE or Windows Mobile device by giving it access to your host system. 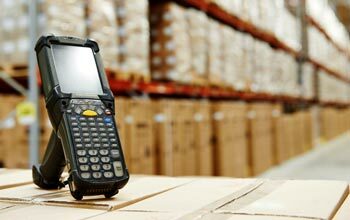 TTWinCE has been developed specifically for the hand held and Windows based terminal market and excells in barcode scanning and warehousing type applications or on thin client and small form factor devices that require host connectivity. TTWinCE shares it's underlying emulation technology with Turbosoft's flagship Windows terminal emulator TTWin 4 and, like TTWin 4 supports more than 80 different terminal emulations. As with all of Turbosoft's products, TTWinCE is a high quality product backed by outstanding technical support. Please note that this software is not compatible with the Windows Phone® range of operating systems (Windows Phone 7, Windows Phone 8, Windows Phone 10) and has not been designed for use with current Microsoft powered consumer smartphones. To download a free, fully functional demo of TTWinCE, please visit the trial software page. Allows for a direct connection from the CE device or Windows based terminal to the host system. The Terminal Emulations that are available in TTWinCE are the most reliable and accurate on the market. The underlying emulation technologies behind TTWinCE are the same high quality and robust technologies powering TTWin, our flagship Terminal Emulator, a product which has undergone continuous development and refinement since 1993. This ensures that your users spend their time getting value from the CE Device, not finding ways around the shortcomings. Support for more than 80 different terminals giving your CE devices access to all hosts from the one product. TTWinCE has support for the built in scanners that come with many of the handheld devices. Multiple sessions may be run simultaneously. Screen hotspots may be defined allowing action to be initiated by touching the screen on devices which have "touch screen" interface. Font type and size can be selected to provide better readability on LCD and colour displays. Full colour configuration. Select from preconfigured colour sets or define your own for better readability. Administrators can prevent users from accessing or changing device configuration. Minimizes support by eliminating unauthorized changes. TTWinCE can be configured to run in full screen mode, utilising the entire display screen area and preventing the user from accessing other applications. Device can be configured to run up TTWinCE on power up and automatically connect to Host. Physical keys on the device or keyboard may be mapped to any emulation key, string or macro. Sessions can be configured to auto connect on application startup. Session may be configured to automatically log on to the host application on startup - reduces host application startup effort. Device lockdown and full screen run mode. Turbosoft offers very generous discount margins for resale & OEM based sales of TTWinCE. Contact Turbosoft for details.